Yuzou is the first open and participatory photo inventory of local food markets of Switzerland and the world. Local food markets including so called farmer's market, fresh markets, wet markets, bush markets etc. exist all over the world and they are pillars for urban-rural sustainable development and health. They are crowded and lively places where locals and foreigners sell and buy affordable, nutritious and healthy fresh foods ranging from vegetables, fruits, grains and tubers to poultry, meat, fish and even live animals depending on the socio-cultural context. Due to their strong cultural heritage, local food markets have become major tourist attractions, with travelers visiting them internationally or locally, and discovering local and exotic products and practices. However, information on these markets is very limited and fragmented, and there is no comprehensive map of distribution of local food markets and inventory of their products for Switzerland and the world. Yuzou brings together information on the biodiversity of fresh food products including fruits, vegetables, grains, animals etc. with their geographical origin, costs and official information on their nutritional values and health claims that we have obtained from the Swiss Food Composition Database and EU Register of Nutrition and Health Claims. We combined and cross-referenced three open data sources: iNaturalist.org, the Swiss Food Composition Database and the EU Register of Nutrition and Health Claims. The first source refers to a preliminary project that we developed in 2016 to collect information on products from local food markets.  Yuzou is about living exciting socio-cultural experiences while discovering local food markets in Switzerland and the world. Our platform will build a network of local markets ambassadors and associated activities, that could be linked with existing platforms such as AirBandB (https://www.airbnb.fr/), WithLocals (https://www.withlocals.com/) etc. Our targeted audience are the millenniums travelers looking for authentic food experience around the world. 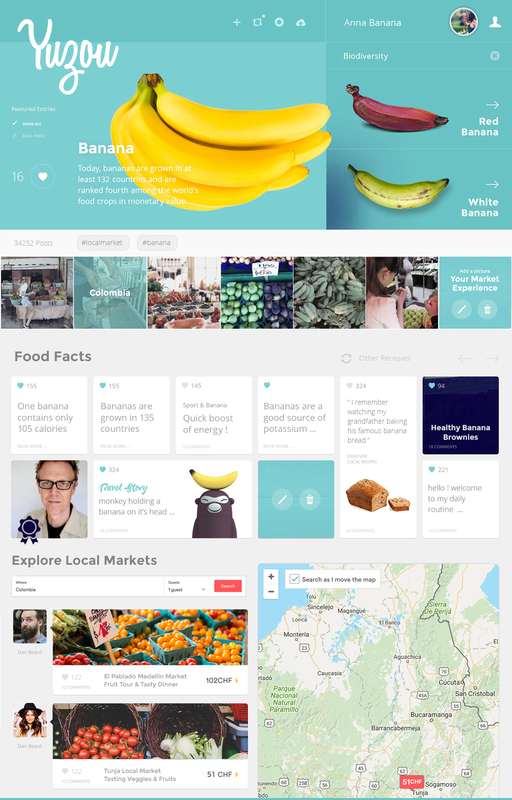 The Yuzou platform allows them to connect with our ambassadors who will guide them through a local market, offer them valuable informations on the local food biodiversity and offer them a unique travel experience. The platform encourage travelers to share pictures & stories of their adventures. 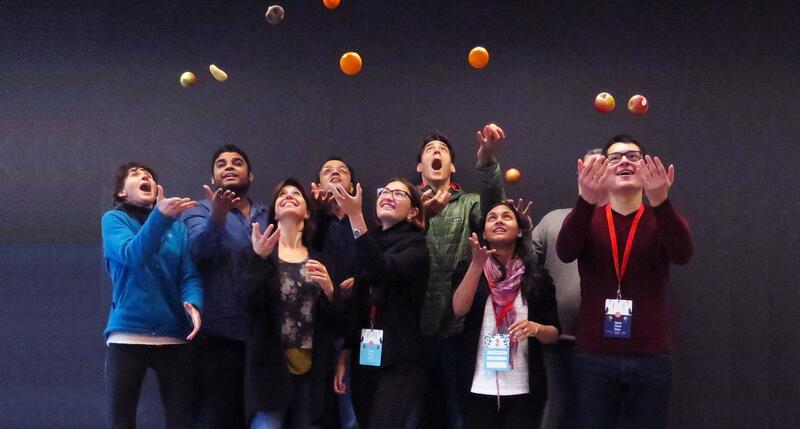 Our idea is ambicious and innovative and it addresses a Swiss and global gap in information in the food system. The participatory inventory ultimately generated on local food markets and food products will be open and freely accessible to everyone bringing new opportunities for research around Sustainable Development and Public Health. In addition, it will promote local food markets and subsequently local socio-economic development from farm to table, and education and health among the population. We are a highly interdisciplinary team including experts in computers sciences, designers, medical doctors, vets, economists etc. but now we also need your support to develop a beta version of our platform and test it in Swiss local food markets!